This autumn our developments were covered in Teataja, an issue of The Estonian Chamber of Commerce and Industry. Tullio Liblik had his say about the current business season and he was positive that the population of Saaremaa would grow by 2000 people within the next 10 years. 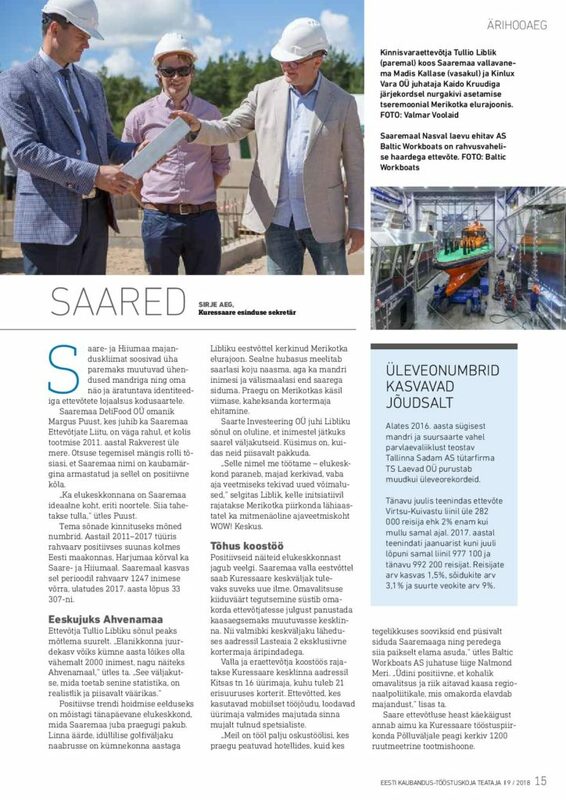 We want to thank The Estonian Chamber of Commerce and Industry for the great coverage in their magazine!